The Windows Registry contains a big amount files that have information about everything that happens on your computer, from installing an application to visiting websites. The registry also contains important information about your drivers and other important applications that you have on your computer such as DLLs. This information is stored in the registry, in the form of “keys” which help the applications to run. These registry keys are like some blueprints, which match together all the PC components and applications than run on your Windows OS computer. A registry may contain hundreds of thousands of entries and new entries are created all the time. However, as it fills with information, the registry may notice that your computer is starting to become sluggish. This is because Windows won’t remove the registry entries by itself and most of the uninstallers are not removing their own registry keys, so there is a big chance that even if you’ve uninstalled an application, its registry keys are still on your computer. However, by using some applications, you will be able to clean the Windows registry with just a few clicks. This way, you will be able to remove the lag and significantly decrease the boot time. However, keep in mind that you’re taking risks when you’re cleaning your registry, and if you are happy with how Windows runs on your computer, you’d better not mess around with it and leave the registry untouched. At the same time, trying to manually edit registry can lead to errors in the registry, which might make your system unstable. With other words, there are high chances that Windows will not be able to boot anymore on your computer, which means that you will need to reinstall it. Before you start “messing” around with the registry, it is better to create a backup copy of it and also save any important data to an external hard drive. Keep in mind that some registry cleaning applications come with features to backup a copy of your system’s registry, but in case you install an application that doesn’t have this feature, you can always search on the internet for a free registry backup application. 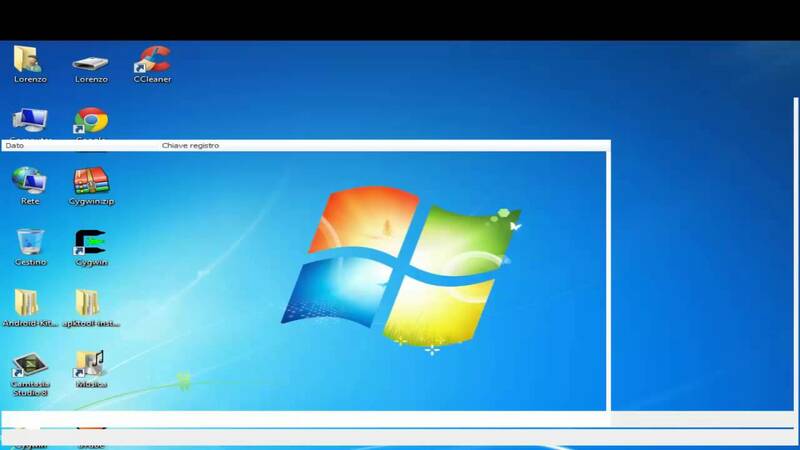 Windows comes with a built-in application that allows you to edit the registry. It’s called regedit.exe and can be accessed by accessing the Start Menu->Run and in the command line you will need to enter “regedit.exe”. The built-in application is pretty easy to access, but it is quite difficult to use and to manually modify the registry using it. Each registry entry comes with a long, oblique name that doesn’t say much about what it represents. Even advanced Windows users may not have any idea of what a particular entry points to. So, if you don’t know how to manually modify, delete or clear the registry, you’d better not mess around with it. Instead, you can use third party registry cleaner applications that will help you to remove a lot of useless registry content that slows down your computer. In order to find an application that you want to use, we suggest you to read the reviews on websites such as PC World, PC Magazine, ZDNET, CNET etc. Some of the registry cleaning applications will fix a few entries at a time, which can take a while, since you may have over 2000 broken entries. Others may cost over 20 dollars, but instead they will probably come with system utilities and other useful tools. Keep in mind that you should not clean the registry more than once a month. However, instead, you can also use a disk defragmenter from time to time, which may provide additional performance boost. Before running the registry application that you’ve chosen, make sure that you close all the running applications, as well as the ones that run in the system tray (in the bottom-right side, next to the clock). After starting the application, follow the directions and don’t rush, as you may make some mistakes which will break your Windows registry. The application that cleans the registry will most likely detect a list of broken registry entries that are safe to delete without any problems, as they are from some applications that you’ve already uninstalled in the past. These applications can also come with an option to “repair” a registry entry, which is pretty good. However, you should pay attention when deleting or “fixing” a registry, as there are high chances to damage it. For example, in case you delete a DLL by mistake, Windows will most likely not be able to boot anymore and you will need to either reinstall Windows or restore the backup registry file that you’ve saved. Are you using an application that cleans the Windows registry? How often do you use it?